It's chaos. Disagreements, arguments, divides. It's unhealthy. 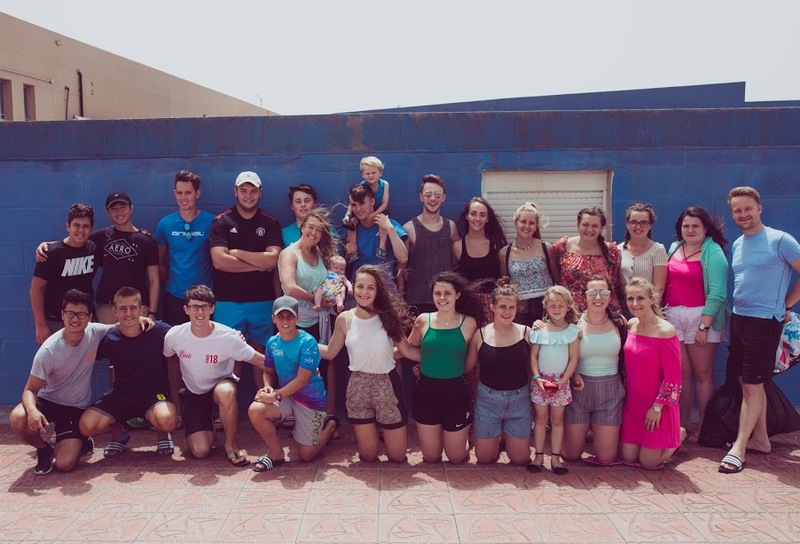 Let's rewind back to January, when I had just signed up to go on a mission trip to Gran Canaria. I was excited, but I didn't really know what to expect. The first meeting came along. I remember looking around the room at the rest of the team. Some I knew, and some I didn't. It was clear from the outset that the team leaders Rebekah, David and Alvin wanted us to bond from the start and get to know each other in a more deeper sense. They wanted us to acknowledge each other's strengths and weaknesses, to recognise our gifts and how to use them. This outlook really did allow the team to quickly form a strong bond. Through various activities, general chatting and small groups we were able to get to know each other so much better, and grow in confidence at the same time. What defines a team for me is a group of people who are all very different. Different interests, different talents, different gifts, different backgrounds. Despite these clear differences, they can join together as one to create almost one superhuman. Being a massive Manchester United fan, I look at the 2008 side as one of the best I've seen. You have the one gifted in leadership, Sir Alex Ferguson. Cristiano Ronaldo to score goals for fun. Rio Ferdinand and Nemanja Vidic forming a brick wall at the back. Paul Scholes with so much creativity in midfield. All these contrasting qualities came together to form what was the best club side in the world at the time. I'd better stop talking about football or we'll be here all day. Our team was different, and you could see that. The beauty of it is that we all recognised this. After each meeting passed, the team was growing in confidence, strength and motivation. On the morning of the 18th of July we were all raring to go. We arrived on the 18th of July all buzzing and ready to go! We spent the first few days of the trip in Jinamar, situated northeast of the island, not too far from Las Palmas. The pastor of the church we were helping, Paul (Pablo) and his wife Jenny told us that this church was the only one of it's kind in an area populated by over 40,000 people. This was a true reality check. I immediately thought of where I live in Belvoir, where there are 5 churches in a 1 mile radius. The sheer difference is staggering, but at the same time, it was actually inspiring to hear Paul and Jenny's mission in Jinamar, and their vision for the future. 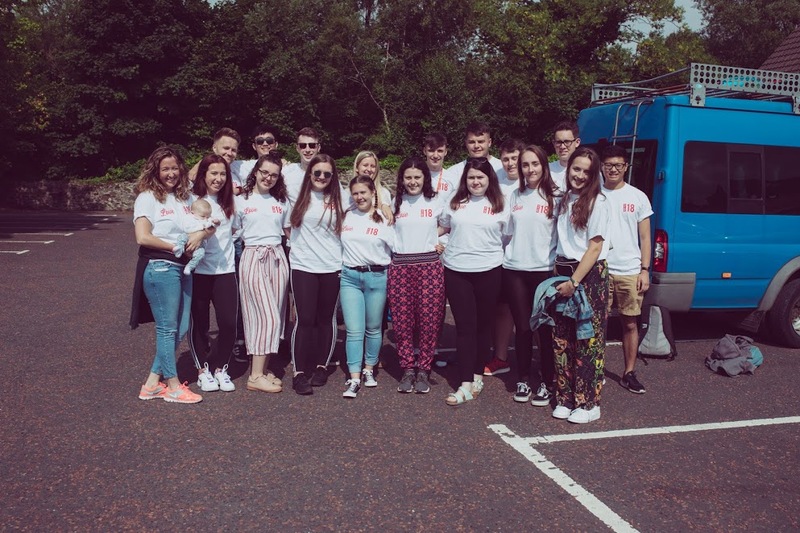 The first few days involved getting to know the Spanish side of our team, which involved a Northern Ireland v Spain football match, which saw the green and white army record another famous win over Spain. As well as this there was a lot of things to prepare for the kid's camp, which was starting the week after. Not quite Northern Ireland v Spain in 2006, but it was up there! The kids camp was tiring to say the least, but it was so worth it. We had such an amazing opportunity to go out and serve, and serve we did. The team relished the opportunity, and led from the front to behind the scenes, each using their own gifts and abilities to help create what was a fantastic week for the kids! Personally, one of the highlights of the entire trip for me was the team times we had during the kids camp at night time. We played some games, we shared our experiences and most importantly we had a great laugh. This brought us all so much closer together. One of the things we were tasked with before heading out was coming up with a missionary story for the kids. We made our props, and had our story ready to go. I think this example really shows how our team were so committed and willing to go above and beyond. The kids loved it, and participated so well during the stories, with a particular fondness for Ella and Anna's puppets Reggie and Lisa. In spite of a bit of a language barrier, our team delivered these stories fully in Spanish, which ultimately shows their dedication to the cause. Overall, the mission trip was amazing. On reflection, there are few words that can truly describe how much I loved the trip and the place itself. When we got back it all seemed like a blur, but after being back for a few weeks I realise just how incredible it was, and also how lucky we are here in Northern Ireland. The team was just amazing, and we formed a very special bond during the time we were out there. I hope from this you can see just how important it is for a team to be united, working for each other, encouraging each other, and always backing each other. Jinamar and Gran Canaria have stolen our hearts. We have made so many new lasting friendships and solidified ones we already had. Team GC 18 was an unforgettable experience, and one with so many fond memories.